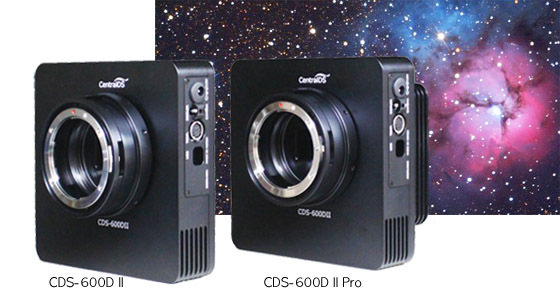 Recently Sony or Nikon’s APS-C, full frame Cameras are having good low light photography performance and many amateur astronomers are using these for their astro imaging. 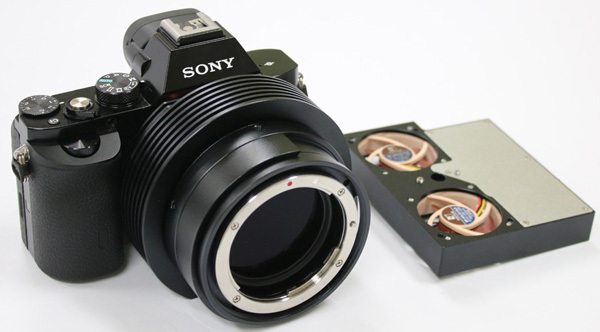 The launch of Sony’s A7s this year is remarkable because of it’s very good low light performance and 4K movie mode with it’s Full Frame image sensor. 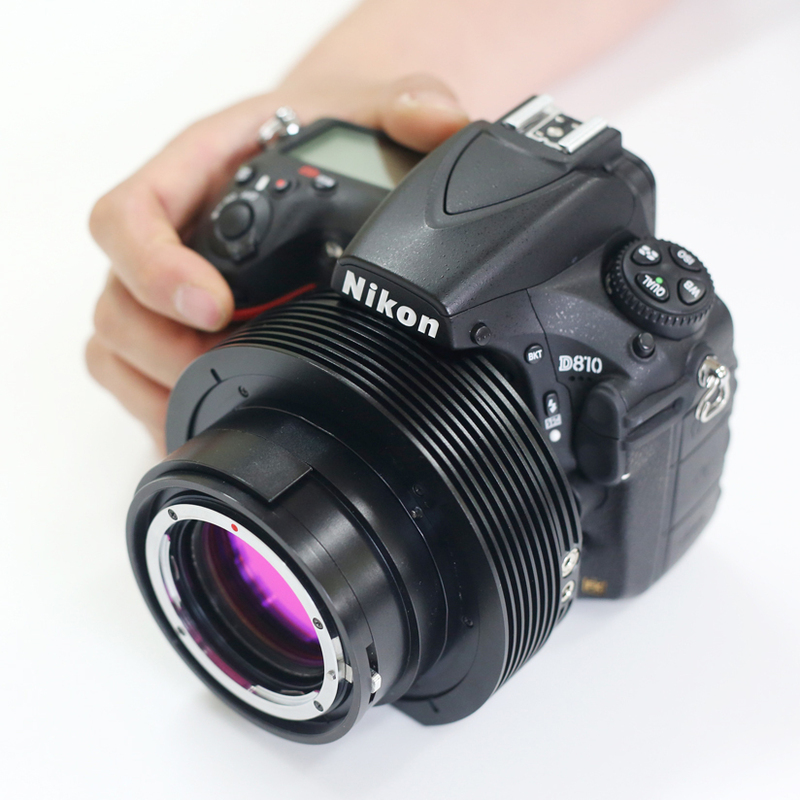 The A7s 12 megapixels is small compared to other full frame digital cameras but this camera is special to amateur astronomers because of it’s ultra high iso (up to 409,600). 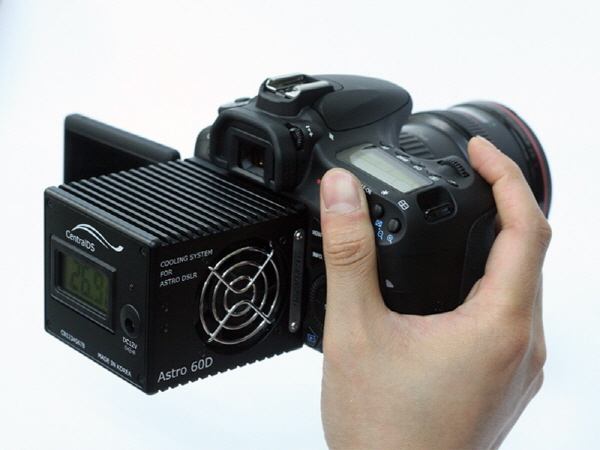 Astro6D is a cooling modified Canon EOS 6D. 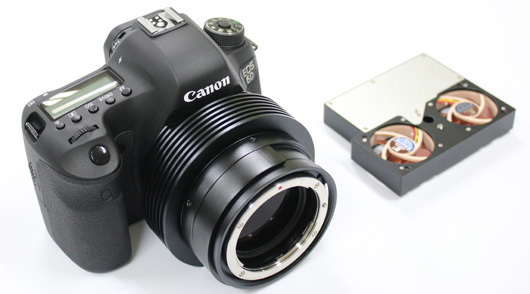 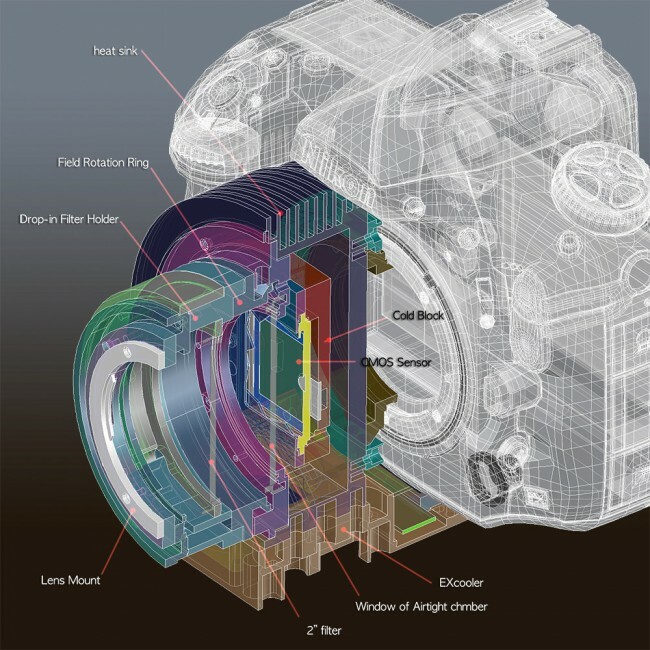 Up until now we have used two methods to modify Canon DSLR’s to a cooled configuration. 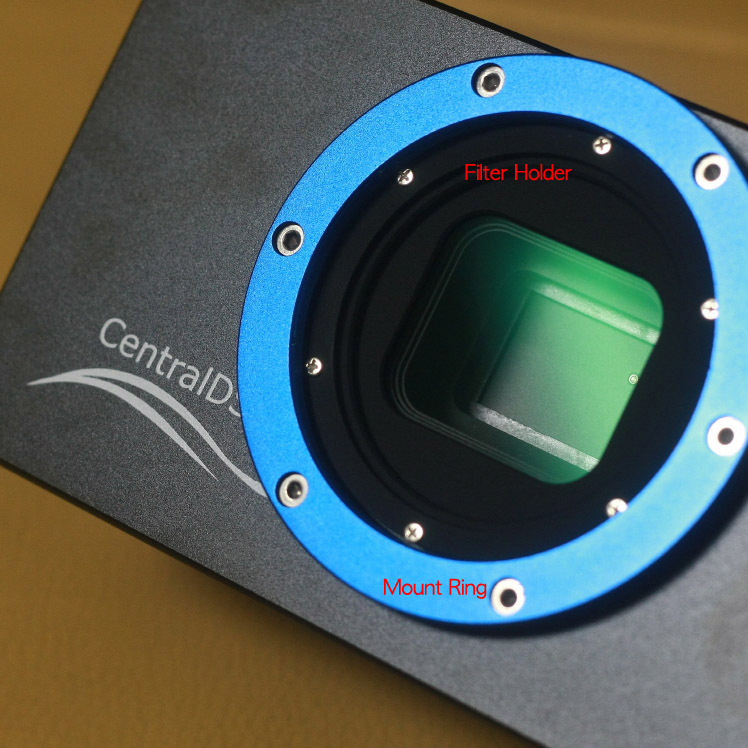 The first is to insert a cooling module into the camera body, whilst the other is a reconfiguration of the camera system, as in the case of CDS-5D. 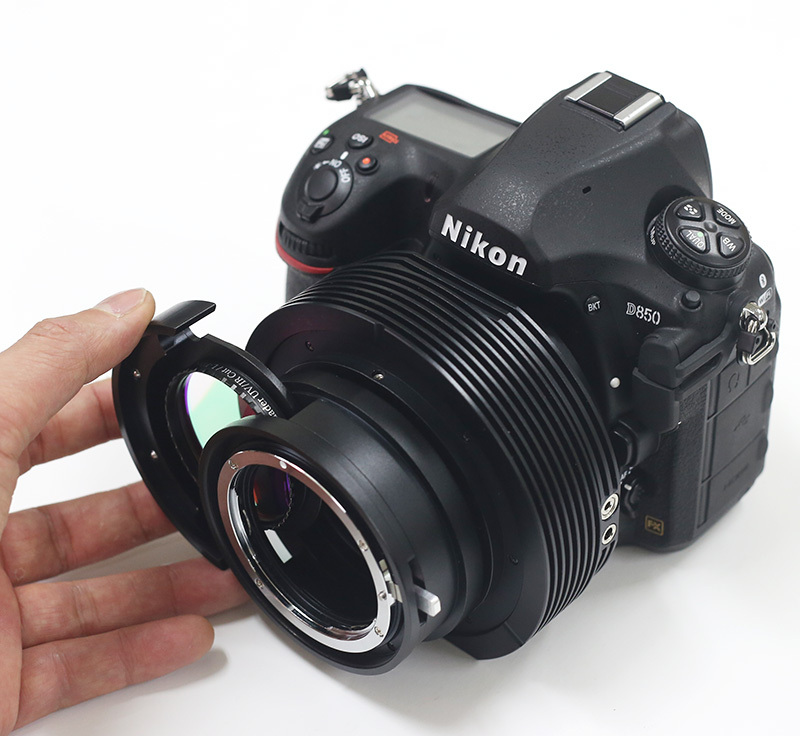 The inner space of the 6D and A7s is so tight that we have introduced a new modification concept for these cameras. 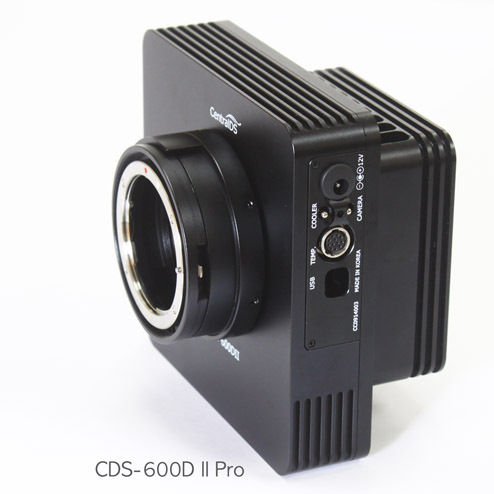 At last we launched the upgraded CDS-600D with new design as the name of CDS-600D II and CDS-600D II Pro with more powerful cooling. 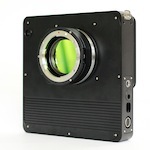 Drop-In filter holder for 2 inch astronomical filters is equipped in these cameras.